Ma.K. Builders Guild is open to all that wish to explore the world of Ma.K. 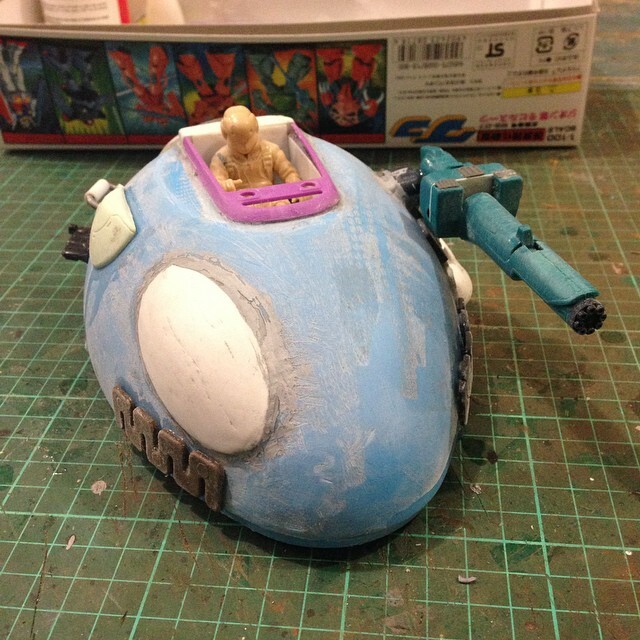 Another Ma.K inspired scratch build…presenting my Egg-O!! Here my build of the Hasegawa Nutrocker. This my first attempt at heavy weathering, also enhanced the surface with Mr.Surfacer to make it appear less flat and slick. Well thank you, but you know how it is, you can also find something you can improve on a build. Yeah I saw the Gunpla Episode about that. I have thought about and experimented with painting on the sprue as well. It just does not work. I wonder why some companies like Revell actually advise people to do it. Just prime your nutcracker over and start again. 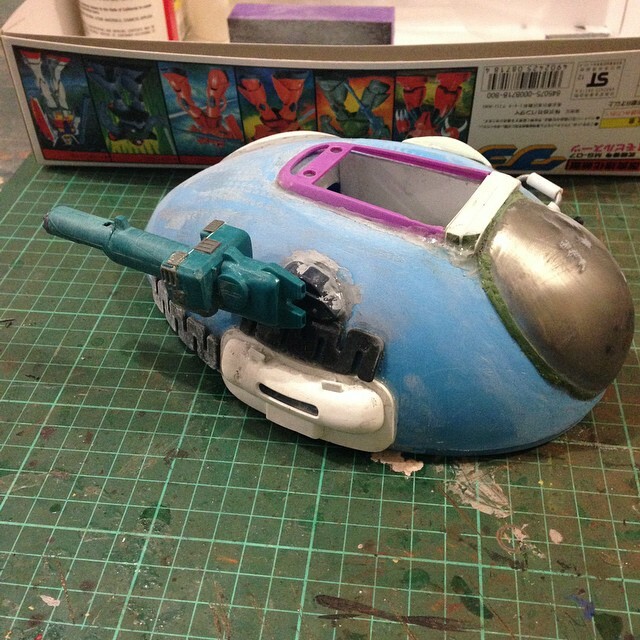 this time, I post in this group, as I built 2 Ma.K kits by hasegawa, and customize them to make them appear in 2 dioramas to go, in melted universe with DUST figures and Gundam UC and Border break / Frame Arms kits. I like the paint scheme you used! On wich one ? both ? My build entry in the Playing with Plamo competition. I have a snow balls chance but Im really happy with it. 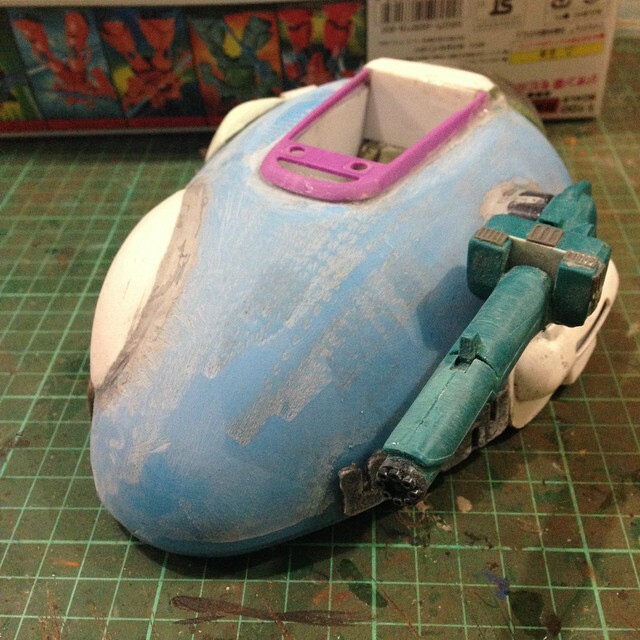 I am very inspired by your scratch built model. I may have to try that myself though it seems a little bit daunting. Did you draw a design on paper first? LOL…very late reply! Had an idea in my head and just went for it! No planning at all! Well it came out looking good. The more that I make models, the more I realize its about the detail!